This month’s success story features our work with the Mental Health & Addiction Advocacy Coalition. 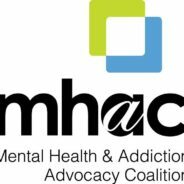 MHAC fosters education and awareness of mental health and addiction issues while advocating for public policies and strategies that support effective, well-funded services, systems, and supports for those in need, resulting in stronger Ohio communities. The MHAC is a place where diverse interests come together, speak with a common voice, and work towards guaranteeing access to quality services and supports for individuals with mental health and addiction disorders. OA was approached based on our experience working with not-for-profit organizations and benchmarking compensation, and recommending approaches to enhance compensation program administration. OA was recommended to us from a partner organization to assist us with understanding how competitive our compensation was. We are a unique organization so we needed to make sure we used appropriate benchmarks when analyzing our pay. They have a collaborative process and spent time with us reviewing data, asking questions, and making sure they were providing the analysis we needed to make decisions about our pay programs. They located both general compensation data as well as information specific to not-for-profits to give us an informed view of compensation in our world. Since we are spread out geographically they provided us data for the locations in which our people work. OA’s help was invaluable in providing us data about our own programs, and insights into what is competitive among our peers. We now have a process to revisit this periodically to ensure we stay on track. Most not-for-profits are constrained by resources, especially money. Our dialog with OA helped us refine our value proposition to employees and potential candidates, and leverage our meaningful mission and work along with other aspects of our total rewards program in our conversation with them. Not-for-profit organizations are one of our specialties. Whether you are large or small, we can help with your compensation planning needs. Contact us and check out our blog for more resources.